Tracking visits or sessions to your website is a must. I’m watching you right now…well…not really….but Google Analytics just recorded your visit to this page along with how many pages on socialsceneme.com you have viewed, how long you’ve been on socialsceneme.com, your geographic location, and several other powerful statistics that help us understand how to improve our website. 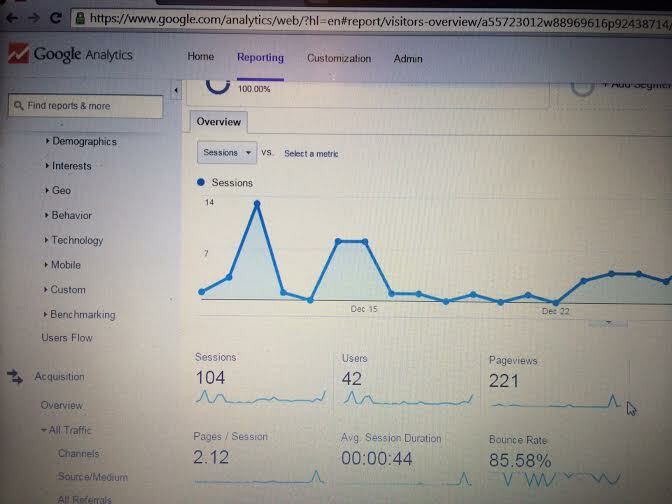 Google Analytics is an amazing tool when is comes to providing you with valuable data about your website. Most importantly it can track E commerce, Revenue and online conversions allowing us to better understand the performance of a website. Do you know how many visits your website gets a month?